Where to eat? Here is our short list of 35 favorite Paris restaurants, which we’ve ranked based on anonymous and repeat visits. We never accept press invitations or freebies, so you can trust that our opinion is still independent, after nearly a decade of reviewing Paris restaurants.Feel free to share your reaction to this ranking and your own suggested favorites in the comments! Bistro food done right, with fresh ingredients and thoughtful technique. A bouquet of garden vegetables from Tomy & Co. Here you’ll find traditional French recipes or ingredients with a twist. There may be a tasting menu offered, but there are à la carte options, too. 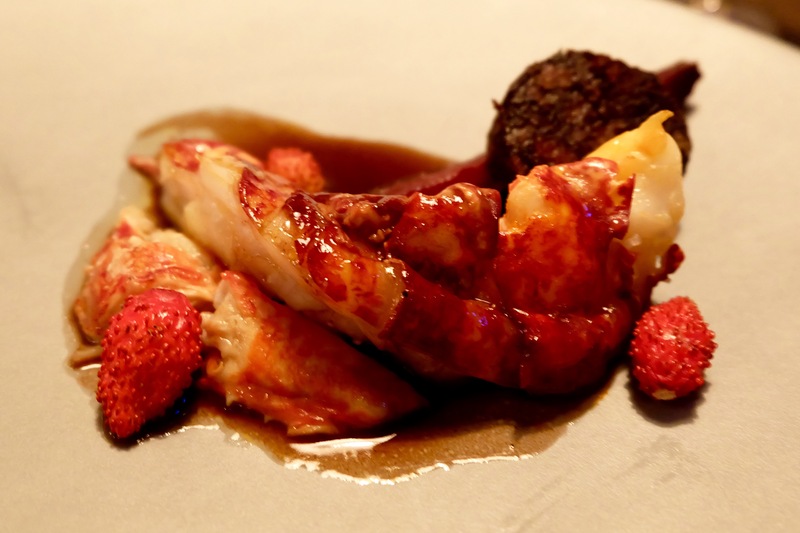 Lobster with boudin noir and wild strawberries at Septime. We’ve divided our favorites in this category according to how pricey the set menu is. Innovative and no-choice tasting menus with optional wine pairings. Pricier experiences featuring contemporary food & interiors with service that’s more relaxed than you’ll find in a haute cuisine environment. 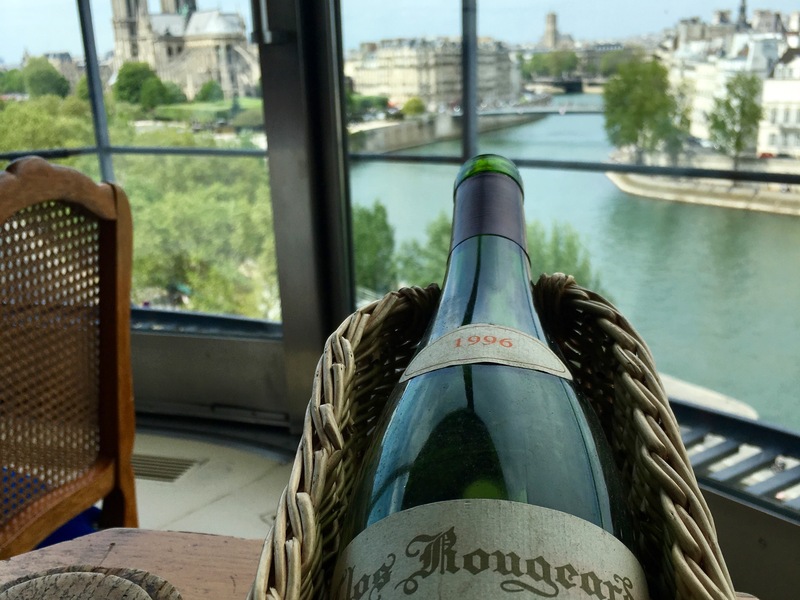 Treasure from the wine cellar at Le Tour d’Argent. Here you’ll find extremely pricey tasting menus in extraordinary settings with very formal, old-school service. Lunch is usually half the price at these establishments. 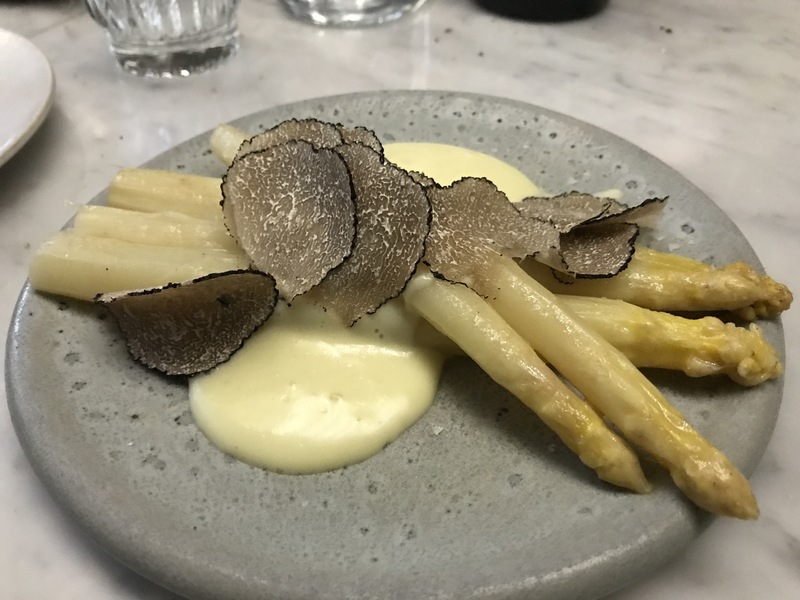 Asparagus with raw cream at truffles at Ellsworth. Casual, youthful and relatively cheap. Creative compositions served in small format and often washed down with natural wines. The wine & food at Paul Bert is good, but unless you are French don’t bother. In all likelihood you will be shunted to the ‘salle des étrangers’ – the long, narrow corridor upstairs & to the right of the main dining room – to dine out-of-sight amongst the various Anglo-Saxons, Japanese & Chinese. Restaurant Will, a great find By chance and reasonably priced for the quality, over in the 12th. We had a really delicious meal tonight at L’ assiette in the 14th arr. Coquille St Jacques a la grenobloise and Cassoulet were both excellent! Friendly service. Enjoyed a superb bottle of rose wine.. Thanks for the recommendation! Thanks for the feedback, Phil. We’ll revisit soon. Love your palate however I would suggest a revisit to Bistro Paul Bert. I went last night (after a long hiatus) & had a very mediocre meal. Perhaps not surprisingly, there were virtually no French & they had a chalkboard in English. Tant pis. Au revoir Bistro Paul Bert. Went to Racine’s in Passage Panorama at opening time (7:30) and got seated as long as we assured them we’d finish by 9:00. That was not a problem and the food was great and at a good price. We highly recommend it. Had lunch at Clamato, Septime’s next door neighbor and partner. It was wonderful! We highly recommend it. This is a wonderful list and I can concur completely having eaten at most of these over the years. Well done! Astrance was wonderful, and a steal at lunch. David Toutain was great as well. Paul Bert is a perennial. Looking forward to trying some others from this list in a couple of weeks. PS We’ve been on one of the food tours and recommend them unreservedly. Thank you especially for having the good taste and good sense to post Tour d’Argent topping the “haute” list. It was one of the most memorable meals I have ever had anywhere. Claude Terrail was still alive then. I had the most delicious caneton, à l’orange (with many other wonderful courses) anyone could ever enjoy. I thank you because it seems some people love to trash Tour d’Argent as an expensive “tourist trap” and not one of Paris’s best. 9 times out of ten I later find out their source was hearsay and they never even actually ate there. It remains a great restaurant and I wish Claude’s son André continued decades of success and prosperity. All the best to you. Great post. This is a terrific list! 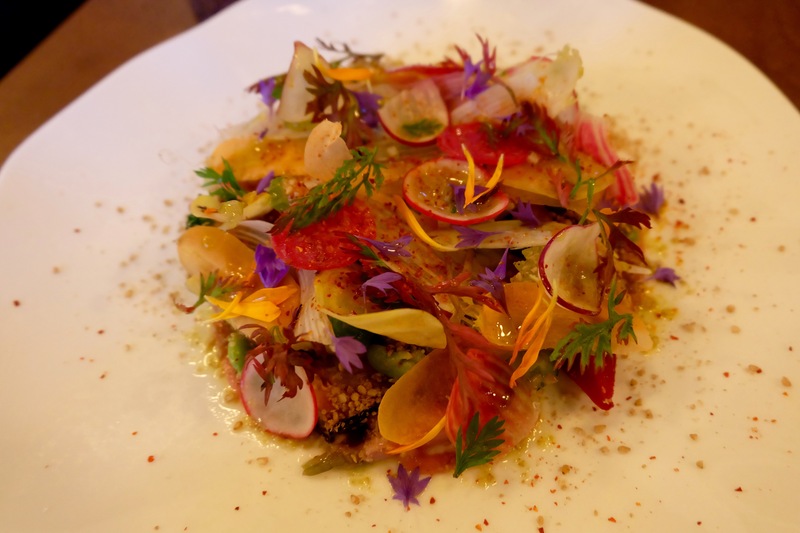 My wife and I used it last week to eat at Verjus, La Bourse et La Vie and a few others as well…plus we managed to do several on a previous trip – you can see some pics here – bravo! This list is a great summary of restaurants in Paris. Although I disagree with some of the entries (most notably Tour d’Argent, where you really aren’t experiencing Paris, but some strange version of what tourists might think of Paris), it is an interesting list of choices when you visit the City of Light. Andy Herbach, author of Eating & Drinking in Paris, Wining & Dining in Paris, and Paris Made Easy. Fantastic list! In a city so full of culinary delights and wonderful restaurants, its incredibly difficult to pick only a handful! This list helps to put many of them in perspective, especially for someone who won’t be in Paris long – they can pick and choose from this list and not be led astray. Thanks for sharing your experiences with us! I agree wholeheartedly with Septime. One of my favorite restaurants in the world. I would add Restaurant A.T to the tasting menu list. A lot of these are on the left bank / in the south of Paris. Are you able to do a list of restaurants in the north too? love your recs-can you help with an outdoor summer terrace setting restaurant? Hope u see this Paris Bound. I’ve been to Septime twice for lunch and it had the best food, setting & service. HIGHLY RECOMMENDED. Absolutely! Lunch is always cheaper at restaurants like this and a great way to try a chef’s cuisine at a lower price. Hi would you recommend Septime for lunch? They have a lunch menu for 30€. I’m eager to try the restaurant after I saw you rated it as top 1, but I can’t afford the six course tasting menu. We have eaten at Guy Savoy several times. The new restaurant is beautiful. The food this time was the best it has ever been. I know it is old school but to me, it is what three star should be. Cosi- on rue de Seine! Why didn’t A La Biche au Bois in the 12th make the classic bistro cut? any recommendations around palais royale, louvre,,1st arr.?? Hi Richard, for the moment we don’t have any absolute favorites in the 8th arrondissement. That may change in the future. Let us know if there’s something in that neighborhood you think we should consider. What about 8 arr, ?